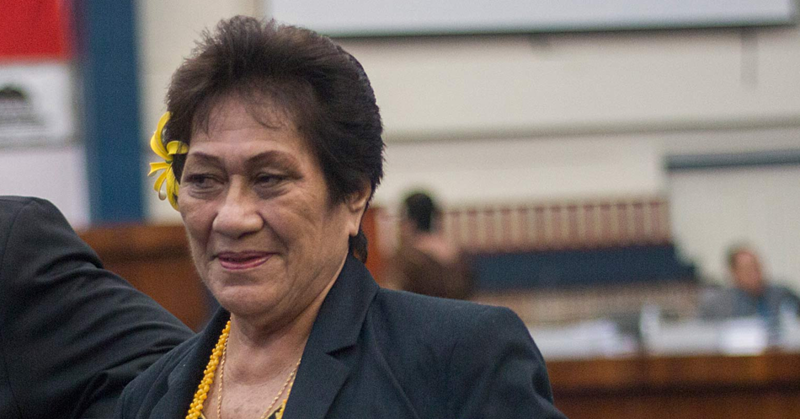 Two suspects from Salelavalu, Savai’i, have been arrested in connection to the assault of Fui Tomesi from Salelologa during the weekend. The two suspects were handed over to the Police on Tuesday evening following a lengthy Village Council meeting at Salelavalu. 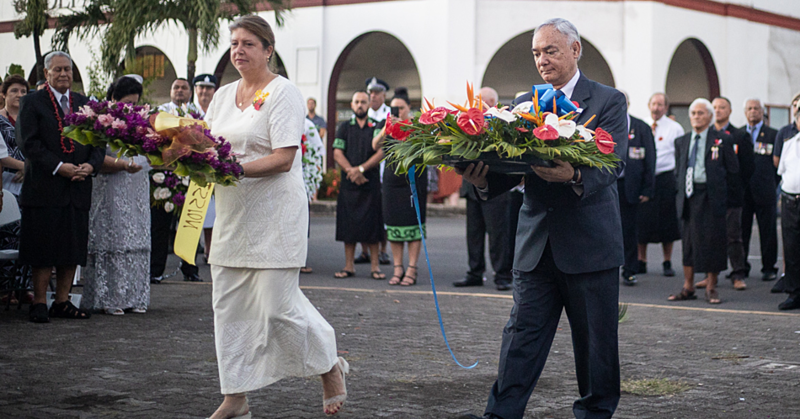 The Samoa Observer was asked to leave the meeting. The men were allegedly responsible for attacking Mr. Tomesi, which was caught on video. The video shows Mr. Tomesi kneeling while someone held a rifle to his mouth. A voice could be heard asking him to apologise. As Mr. Tomesi started to speak, he is punched and slapped repeatedly. The interrogator also swears in Samoan. 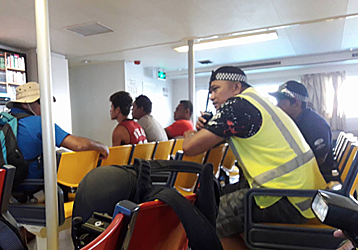 The suspects were on the 6am ferry to Apia and were escorted by more than 10 Police Officers. Upon arrival at the Mulifanua wharf, more Police officers were present to collect the suspects in the Police vehicle. They were taken to Police custody.